Headache is one of the most common illnesses in Australia, with around 15 per cent of taking painkillers for a headache at any given time. Because headaches are so common, most people think they are a normal part of life. However, a persistent headache is a sign that something is wrong. The continual use of pain medication to combat headaches is akin to removing the warning light that alerts you to a problem in your car. Medication doesn’t solve your headache, it simply offers a short term solution to dull the pain. Tension headaches and migraine are the most common forms of headache and cluster headaches are rarest. Other types of headache include sinus headache, rebound headache, and exertional headache. Headaches can result due to a variety of reasons including stress, poor posture, accidents, medications, environmental factors such as strong odours and pollution, and dietary irregularities. Perhaps one of the most overlooked cause of migraine and tension headache is nerve irritation in the upper neck which originates from poorly functioning spinal joints or vertebral dysfunction. Since the nerves of the upper neck supply the areas of the scalp and face, irritation to these nerves can and often lead to headache. Please contact us to arrange your comprehensive headache assessment and to begin your journey towards living a life without headaches. We look forward to hearing from you. Assessment of Headache Your physiotherapist will carefully analyse potential headache triggers and perform a detailed history, orthopaedic, neurological and spinal examination to determine the cause of your headache. Further diagnostic testing such as XRay or MRI may also be required. Upon arriving at a specific diagnosis, your care can begin. 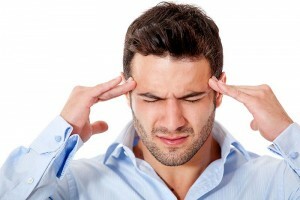 Relief From Headache Physiotherapy is an extremely effective treatment for headaches. By carefully restoring proper movement to the spinal joints of the neck, your physiotherapist is able to significantly reduce the presence of nerve irritation and muscle tension helping to alleviate the cause of your headaches.